A Courtney Act Gia Gunn spat? Well, it appears the two Drags Race alums aren’t exactly the best of friends after a back-and-forth that took place on Twitter earlier today. What Gia Gunn probably didn’t count on was a fellow Drag Race alum clapping back with a vengeance about Gia’s ignorance when it comes to U.S. politics. But that’s what happened when Courtney Act came across the tweet. Wow. You should actually delete your account. It’s nice that you are privileged enough to hate politics, Gia, but girl your humans rights should be more important to you than that. This hint at a Courtney Act Gia Gunn spat had received thousands of likes at the time of this story’s publication. 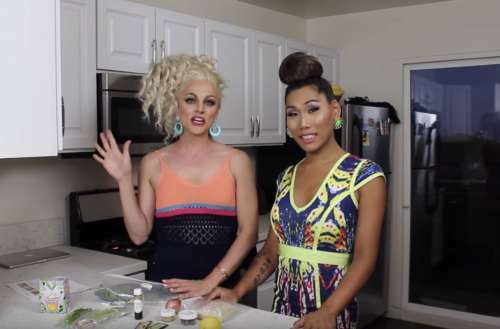 What do you think of today’s Courtney Act Gia Gunn spat? Are you Team Courtney or Team Gia?